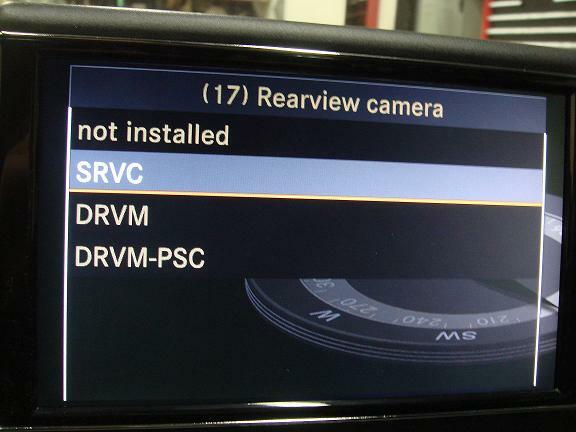 If you have installed an aftermarket stereo this should only take an hour. Very easy job the hardest part for me was getting the video lead from the trunk to the passenger compartment. 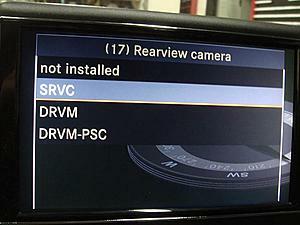 There's a step about splicing a wire to the reverse lights to give the camera power, that I'm a little weary about. There isn't much detail for what seems to be the most crucial part. I'm thinking it will make more sense when I'm actually doing the install. f8al, that step isn't as difficult as it seems. The easiest way that I've found is to strip back some of the insulation on the wire that you're splicing so as to have the copper exposed, but not broken. Wrap the bare wire that you're splicing onto this exposed piece of copper and tape the whole thing up. I've done this numerous time when splicing to factory wires. Thanks! I was picturing some wire nut splice configuration, but your suggestion makes a lot more sense. Just go to Radio Shack and pick up a pack of these. 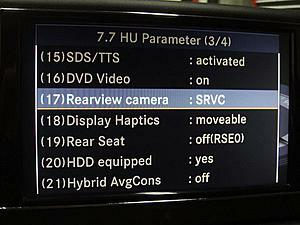 2. for the steering wheel control to activate the backup camera funtion for my Command system, it didn't work for me, therefore i access the engineering manual by pressing 1 , # and hang up key...then i goto menu 7.7.17 to turn the backup camera funtion on. But i don't know why there is 3 option to choose, so i try each one...none of them work,everytime when i put in reverse ,also even if i turn off the car and turn on right away, it still doesn't work. At last, I have figure it out! 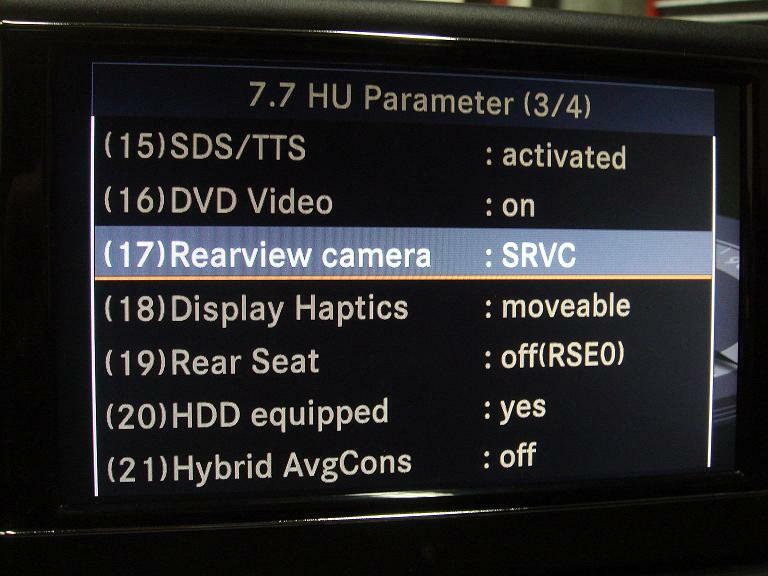 To Turn on the backup camera function for the my kenwood camera, first go engineering menu 7.7.17 , then choose SRVC, next turn off the car, not sure if require to lock the door or not...but i locked the door....leave the car for 5 mins....then start the car, put in "R", the backup camera screen will be turn on. sorry, have to borrow the pics from the previous post! 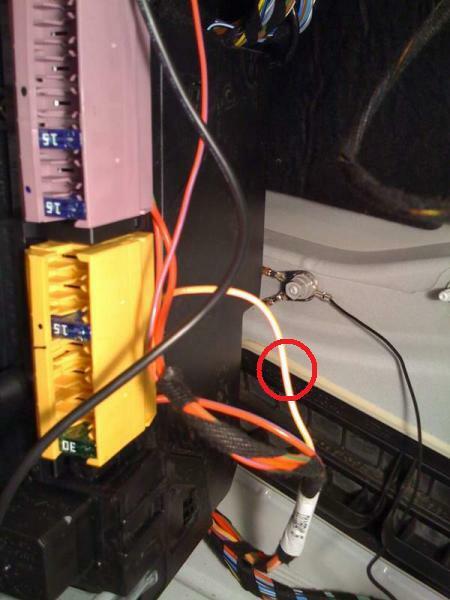 I have spliced my acc wire from to this wire! Note: spliced to red circle area! was that constant 12v? meaning goes on when the car is on and goes off with the car going off? It might just be stupid me but let me get this strait. We need a FRAKA to RCA because FRAKA is need to connect to the back of COMMAND, and RCA is to the back up cam? Also for the FRAKA to RCA adaptor should the RCA be male or female? Thanks alot! Also i noticed that for the camera, there is 3 connection or wires that should be connect. Ground, Power, and Reverse light. I understand where the ground should be connected but where do i connect the power and reverse? should both be connected to the reverse tail light? Some people run the ACC wire all the way to the front to the cigarette lighter, but I preferred to keep it clean, so i kept it back there. I forgot which one I put it to, but I'll let u know later when I re adjust my camera either today or tomorrow. The reverse should be connected to the reverse lamp. This is a little off topic from the OP, but i noticed that there is a Blue port for AUX audio. is that what is used if someone wanted to install a system with bass? or is that for ipod integration? This fakra adapter.. can it be found at Radio shack? or... I just got my camera yesterday and want to do this tomorrow, not wait for an ebay cable!! The radio shacks around me do not sell FAKRA adapter. I just bought mine from mid city engineering. waiiiiiiiit.... I just bout the CMOS-200 will this one work??? i see the guys using CCD-2000... .. does it matter? You need to use MS Internet Explorer Browser. When I use Google Chrome or Mozilla Firefox browser I also have the "red x". My Firefox works fine, no issues. On paper, slightly better resolution and better viewing angle. But on the screen, basically same thing. how are you all snaking the rca cable from rear to front? is taking the interior trim/carpeting apart required?